Builds complex plots, heatmaps in particular, using natural semantics. Bigger plots can be assembled using directives such as 'LeftOf', 'RightOf', 'TopOf', and 'Beneath' and more. Other features include clustering, dendrograms and integration with 'ggplot2' generated grid objects. This package is particularly designed for bioinformaticians to assemble complex plots for publication. WHeatmap designs a set of languages and a layer system that allows arbitrary positioning of heatmaps programmatically. 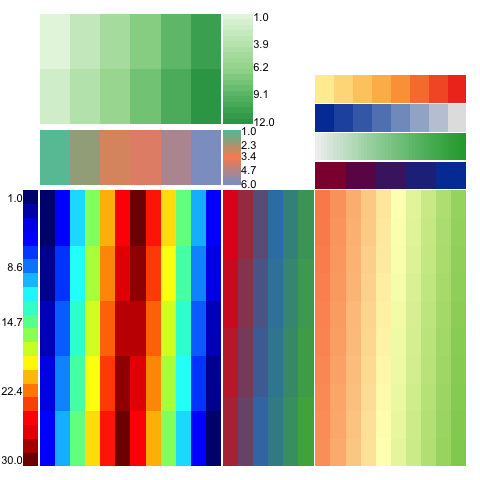 It makes plotting complex heatmaps using plain English such as TopOf, RightOf and BottomLeftOf etc. In order to cross-refer panels in the plot, one has to use a unique name. This name can be given through the name= option and user has to make sure the uniqueness of the names from existing objects in the plot. If not specified, wheatmap can generate a unique name and that name is visible from ly() function. A special NULL tag can be used to refer to the last plotted object. 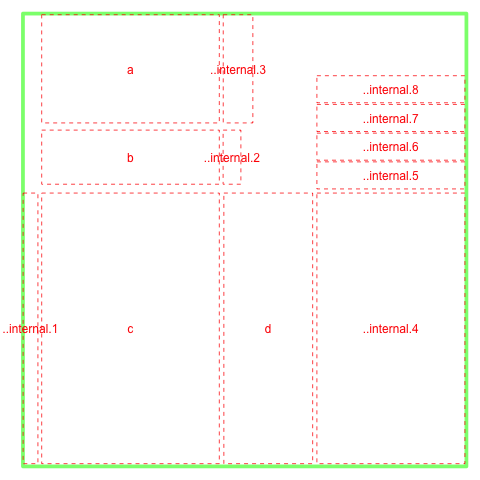 The internal grid.dendrogram() function is adapted from ComplexHeatmap package.